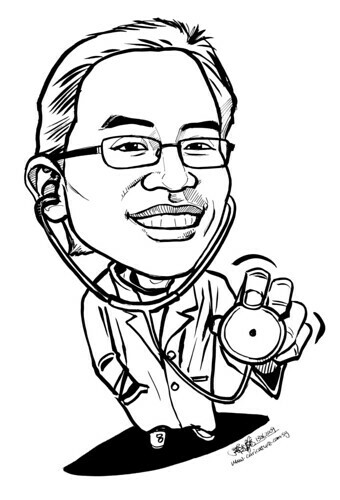 Can I request for the drawings to be doctor related (like a stethoscope or sth)?..." Last 2 jobs to be settled, before I leave town. 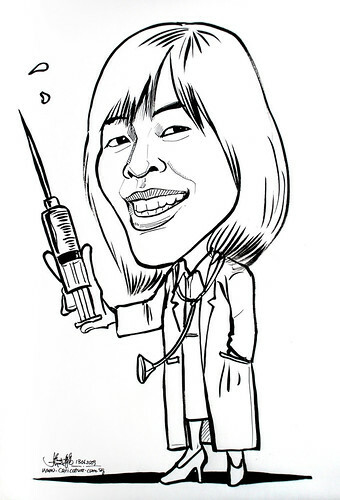 Since the above caricature was a normal angle, I deceided to give this doctor caricature a bird's eye view.